We are thrilled that Janet Reis, College Counselor at Lincoln-Way Central and coordinator of the District’s college and career fair, asked to bring StriveScan to her college fair. Janet first learned of StriveScan while attending IACAC’s Articulation Unplugged Conference at Illinois State University back in September. Articulation Unplugged is a statewide high school articulation conference and counselor college fair. We first premiered StriveScan at the counselor college fair, where colleges scanned high school counselors as “students,” and counselors got to see how it would work for their students. Janet wanted to bring StriveScan to her college fair and we’re glad she did! When a college fair offers StriveScan, not only does it benefit the students attending and the colleges scanning, but the fair coordinators themselves get insights into their own fair. After each event, StriveScan provides the coordinators with a report and statistics about their fair, including the number of students who registered for a barcode, the number of colleges scanning, the most popular colleges among their students. For fair coordinators that invite multiple area high schools, they often cannot determine what high schools actually attend and how many from each school. With StriveScan, we provide a breakdown of the high schools in attendance and number of students that registered from each school. This crucial data helps coordinator direct their outreach efforts and is very difficult to accurate obtain without StriveScan. For many, StriveScan’s report is their first insight into the actual demographics of the students attending their fair. Lincoln-Way Central’s Pupil Personnel Services (PPS) Department is active on social media and uses Twitter and Instagram to communicate with their students and families. 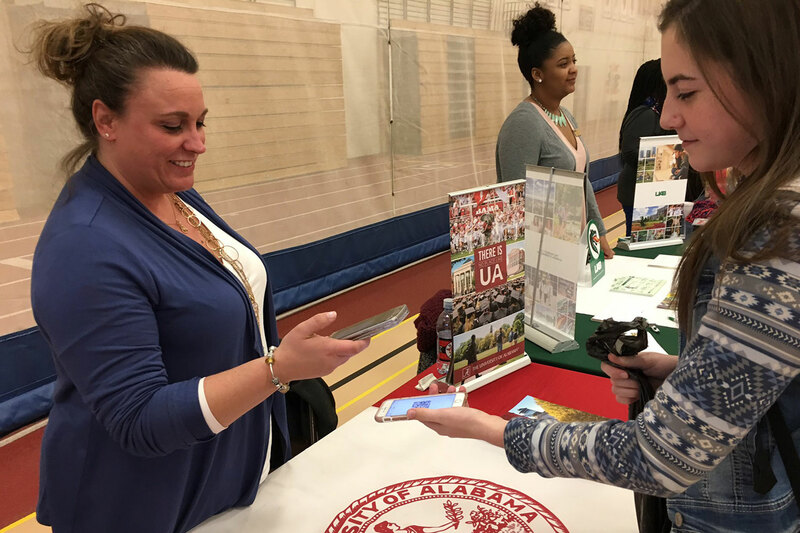 The Department used their social media channels in before, during, and after the fair to promote attendance and pre-registration so students would have barcodes for colleges to scan. Thanks to all of the amazing reps that came out to the college fair today! Don't forget to register at strivefair.com prior to the fair tmrw.